4.2 out of 5 based on 18 bloggers and 2 commenters. 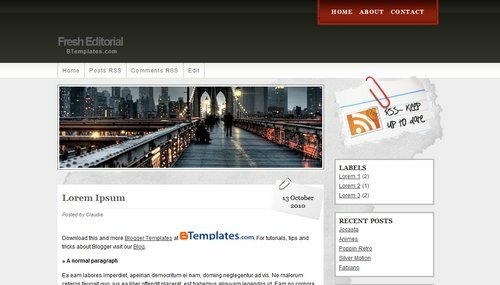 Fresh Editorial is a free blogger template adapted from WordPress with 2 columns and right sidebar. 1)I managed to make only 7 items in menu whereas I nedd 8-9. How can I add another several items? Maybe the number is limited?? 3) how can I add “read more” function?